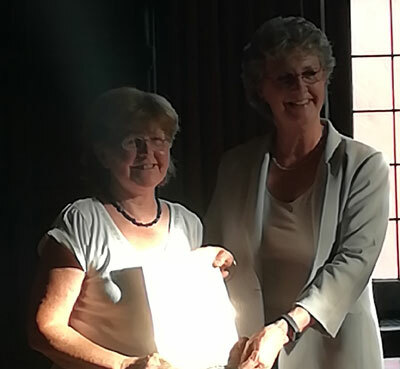 Dr Judy Webb, FOLV Chair, has been awarded the prestigious Certificate of Honour in recognition of her immense voluntary contribution to wildlife, the environment and green spaces in Oxford. Outdoor clothing and sturdy boots needed. or 01865 775476 Ext. 237 or 07834 975162 for details of location. All sessions run from 10am–3pm but feel free to come and go as you like on the day. Tasks to suit everyone. Hot drinks and cake/biscuits are provided at all sessions, but please bring lunch if you plan to stay all day. The fragile and rare Grass of Parnassus, first named by Matthias de L’Obel in 1570 when he found it growing in Hogley Bog (i.e. the Lye Valley), flowered again at the end of August 2014, hidden amid squelchy pools cloudy with tufa. 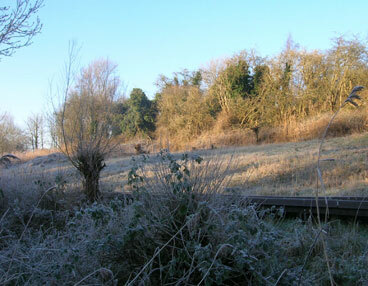 It was first noted in this wetland in 1640, but has probably been here since the last Ice Age. The Lye Valley is the most southerly place that the grass is found in England. 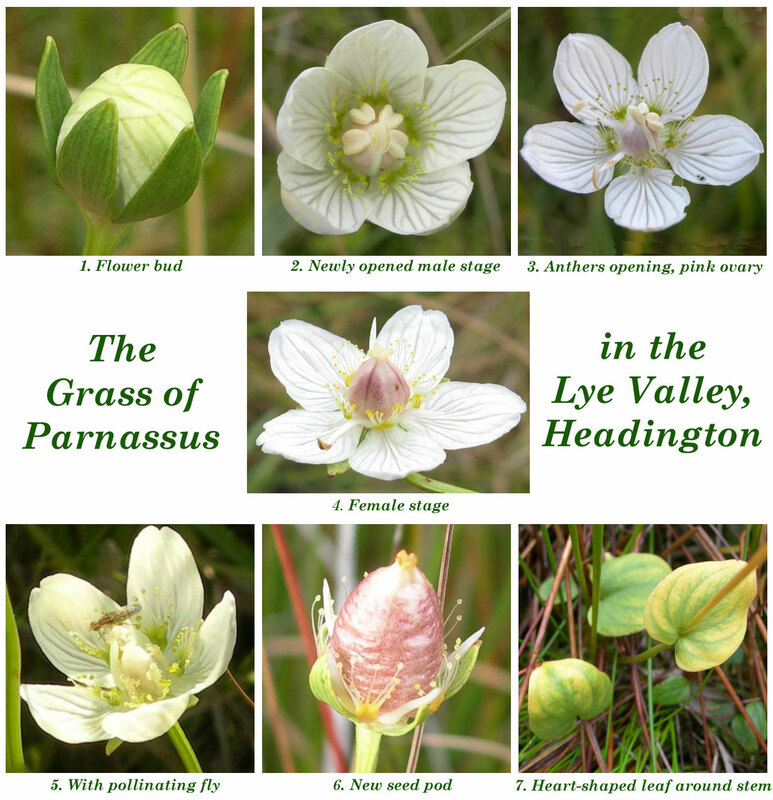 Proportionately there are more rare plants in the Lye Valley than in any other city site – at 20 species this is a third of the 61 species on the County Rare Plants Register found within all the nature sites in and around Oxford that are managed by Oxford City Council. 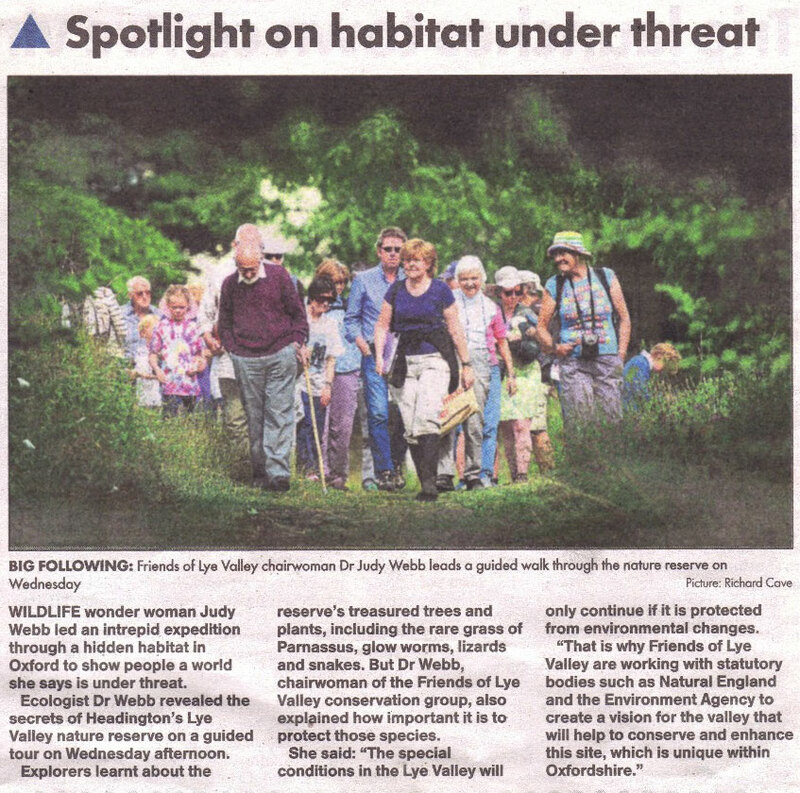 See our Chair, Dr Judy Webb’s, detailed report on the state of the Lye Valley for the Wild Oxford Project. It’s the ONLY fen (alkaline bog) to show such fast return to its former glory in Oxfordshire. Formerly there were 10 really good alkaline fens. 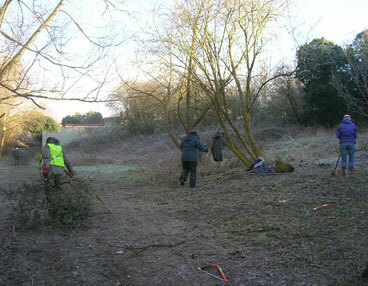 Of these, 8 are being lost to natural succession to wet woodland through lack of management. 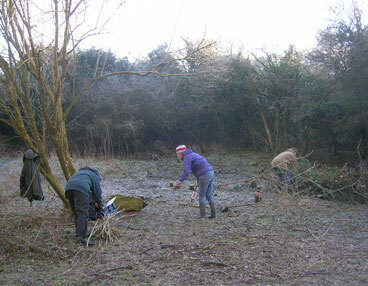 Only Cothill fen and the Lye Valley fen are actually improving, due to having management. 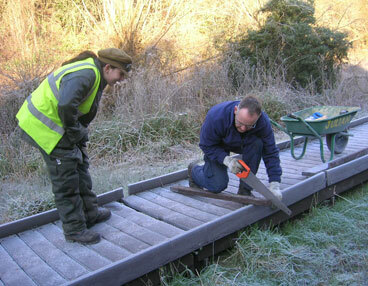 The Lye Valley fen – thanks to its volunteers, Oxford City Council, BBOWT, Oxford Conservation Volunteers – and not forgetting the Friends of Lye Valley – is getting better and better! But it still needs our help and protection. 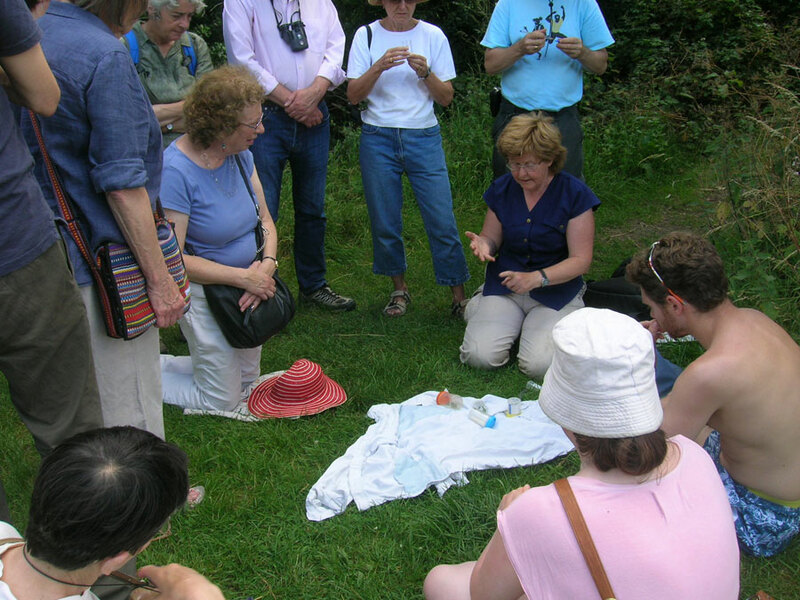 The Annual General Meetings of the Friends of Lye Valley are held at St Francis Church Hall, Hollow Way in August. The agreed minutes of each AGM can be seen below.